According to the World Bank PPI project snapshot here, this project was financed by a "Build, Rehabilitate, Operate and Transfer" brownfield Public-Private Partnership in which the Islamic Republic of Iran gave India Ports Global a concession to the port for a period of 10 years. Financing for this project was 100% private, with no fees due to the government. To finance the construction of the port terminal, India ports global took a loan of 150 million USD from the EXIM Bank of India. This project's financing has a 64:36 debt to equity ratio for India Ports Global. When built, the port should have a throughput of 250 thousand TEUs per year. 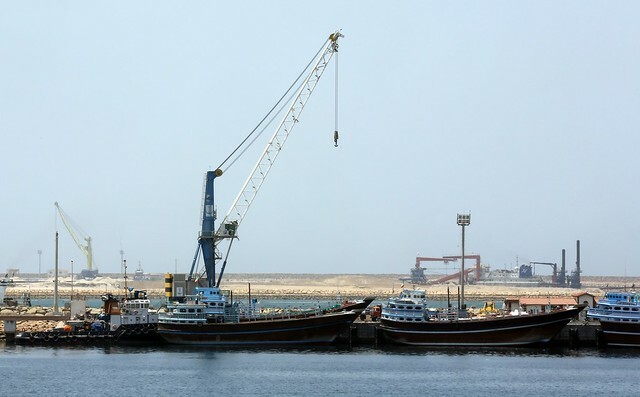 India is developing Chabahar port in Iran as a counterweight to China's investment in Gwadar Port and CPEC, though Iran has asserted that Chabahar will not be in competition with Pakistan's Gwadar.